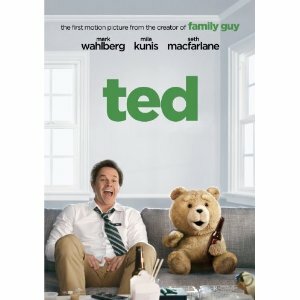 WorldMovieStore - Ted Sinopsis. John makes a Christmas miracle happen by bringing his one and only friend to life, his teddy bear. The two grow up together and John must then choose to stay with his girlfriend or keep his friendship with his crude and extremely inappropriate teddy bear, Ted. This movie is like Family Guy on steroids, however it is very hilarious, very well-put together, and the amount of heart in it is shocking. You'll be very surprised. Mark Whalberg does a great job and it looks like he brought out the kid in him as well. Mila Kunis is wonderful as well, and Seth outdid himself. Using cast members from Family Guy, and there was something that seemed like a homage to the Peter Griffin/Chicken fights when Ted started brawling with John.Overall, I recommend this movie. Read More Sinopsis. 0 Response to "Ted Blu-ray"